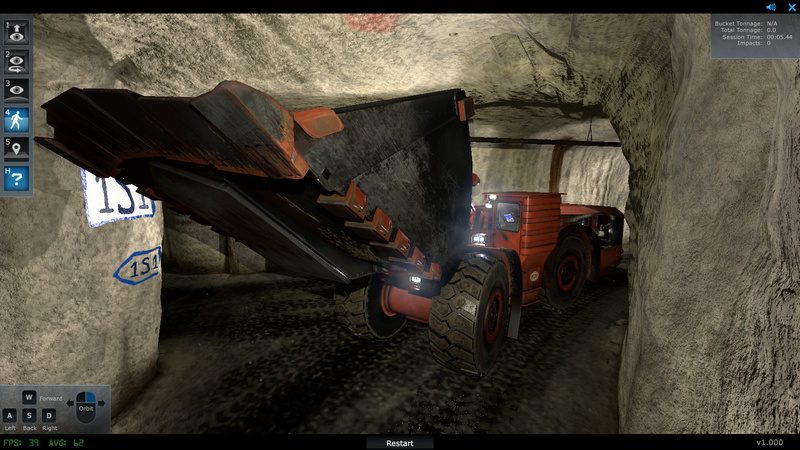 The Joy 18HD is an 18-metric ton, diesel and electric drive based, LHD (Load Haul Dump) underground mining loader. 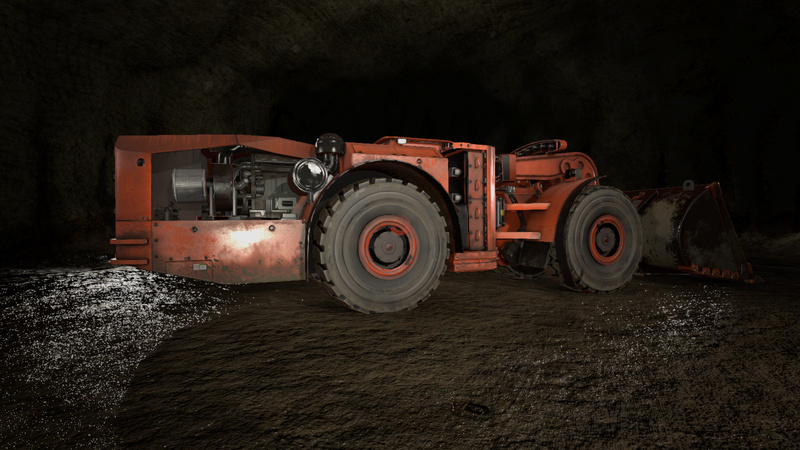 Compared with other models in its class, the Joy 18HD offers faster acceleration, lower fuel consumption, lower heat rejection and best-in-class “breakout and impull” — all of which contribute to the lowest total operating costs of any LHD in its class. 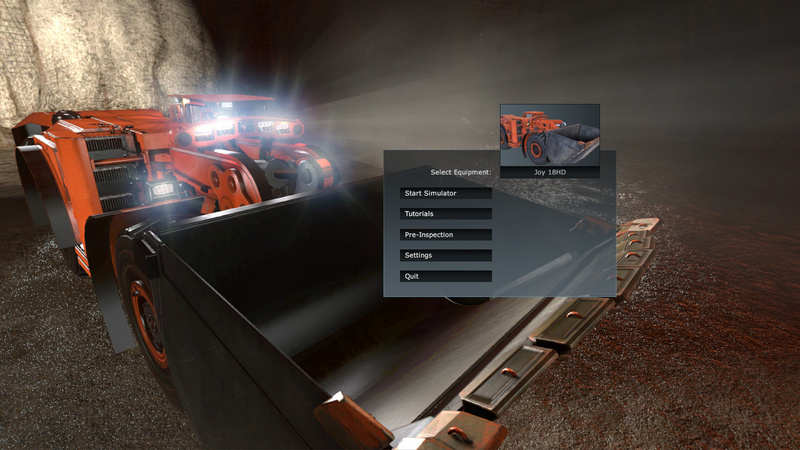 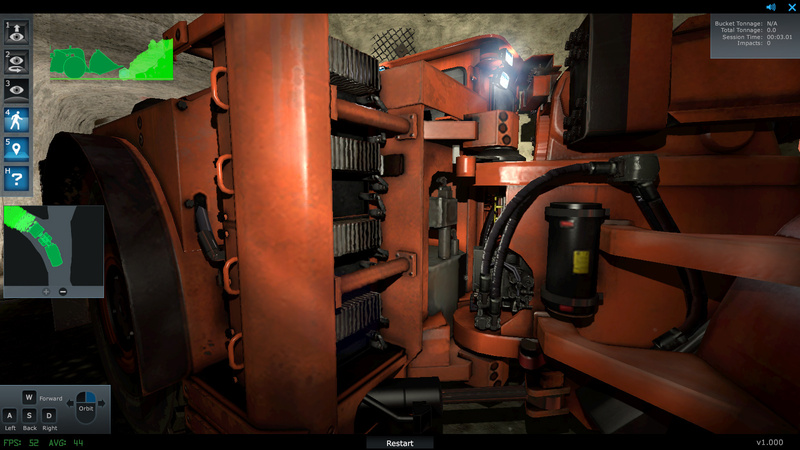 In order to guarantee that vehicle operators are able to take full advantage of the 18HD, Komatsu Mining (formerly known as Joy Global) partnered with ForgeFX Training Simulations to develop a virtual industrial equipment training simulator that allows operators to train with a fully functional virtual version of the loader. 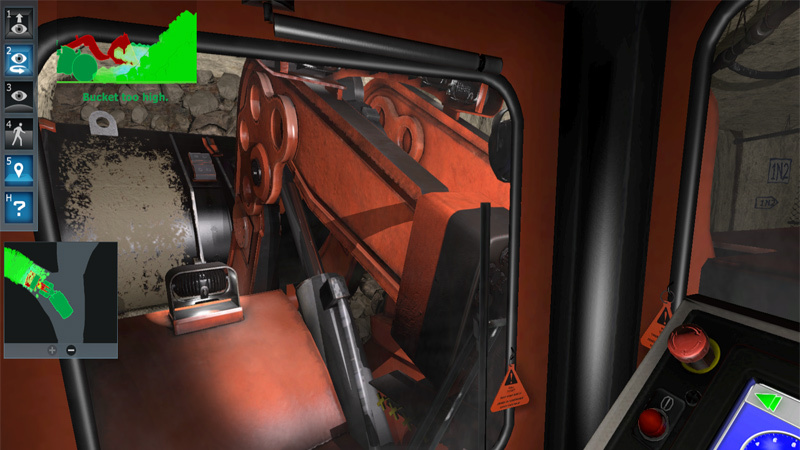 The 18HD virtual training simulator allows operators to train on just about every aspect of the loader’s operation. 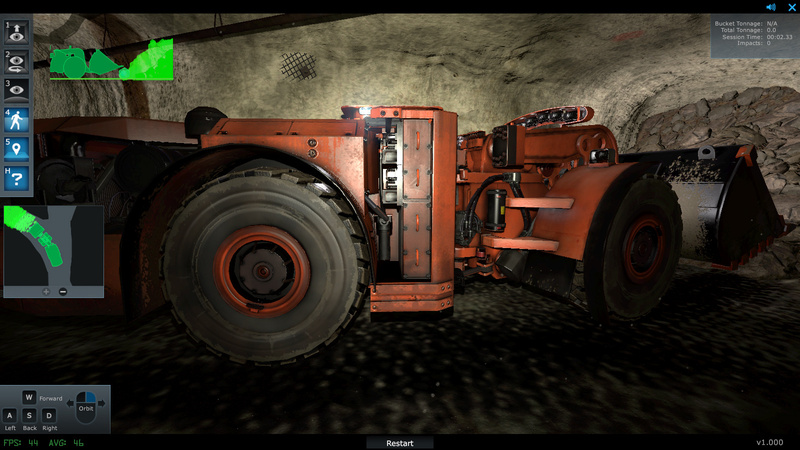 The simulator covers everything from equipment controls familiarization, to full machine operation training, to specific underground mining spatial relations challenges. 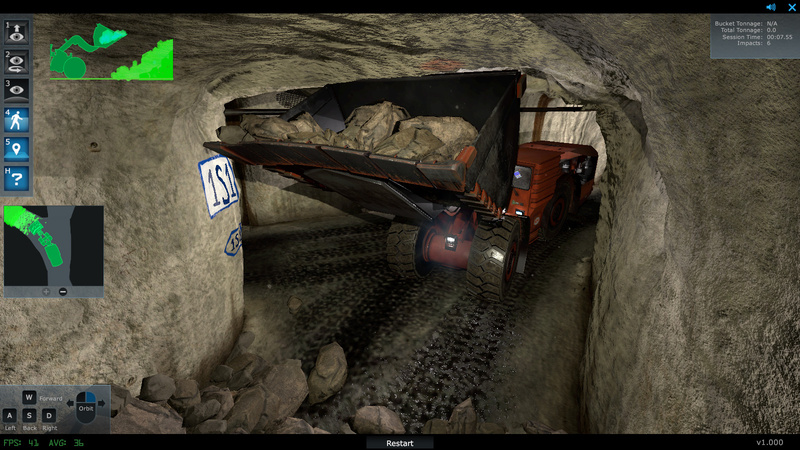 Komatsu Mining Training Simulator for the Joy 18HD, an 18 metric-ton hybrid diesel mining loader. 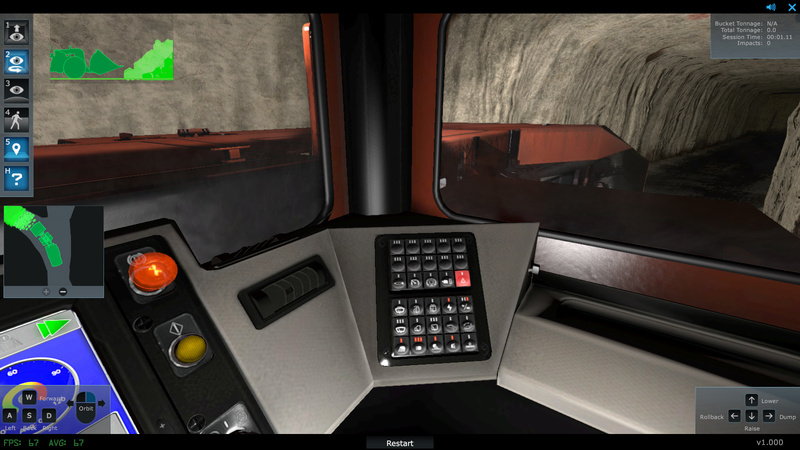 The Joy 18HD virtual training simulator includes an open “sandbox” mode that allows operators to practice with the equipment and learn to use it as they would with the real-world equipment, as well as guided tutorial and help mode, that provide operators with a virtual training assistant that removes the need for human trainers to spend precious time giving novice trainees basic instruction. The Joy 18HD virtual training simulator includes a mixed-reality help visualization system, that gives operators additional visual information about their virtual equipment and environment, in real-time. This information is delivered to the user in the form of color-coded overlaid orthographic real-time virtual camera angles of the operation the trainee is undertaking at the moment. 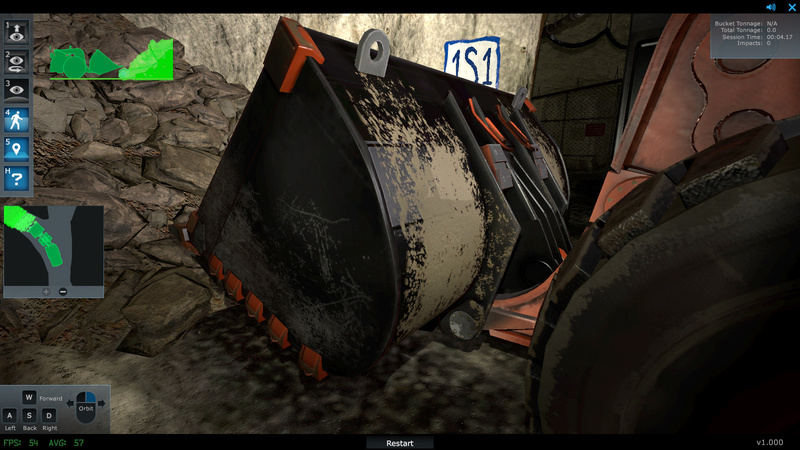 Simulation-based loader bucket operation training with real-time graphical help and tutorial system. 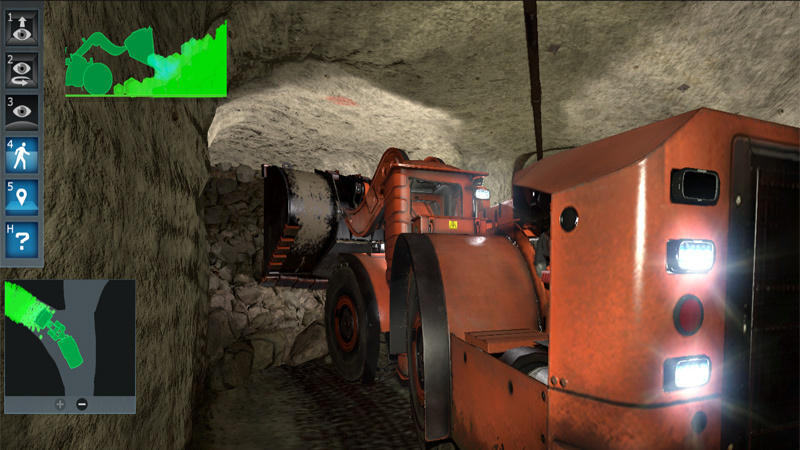 In addition to learning how to safely and efficiently operate a huge piece of industrial equipment, operators must master the unique spatial relations challenges they’ll be presented with in the complex real-world mine environment. 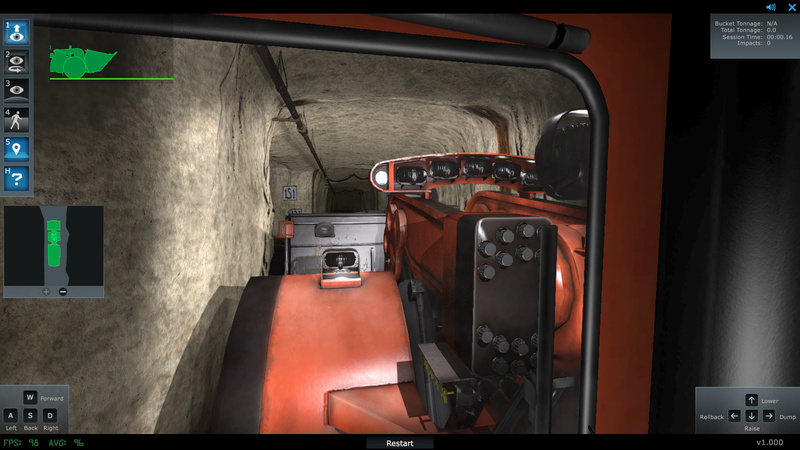 Once a user masters the controls of the virtual equipment, they are ready to start driving it, and operating it, in the virtual environment that closely resembles the real-world environment. 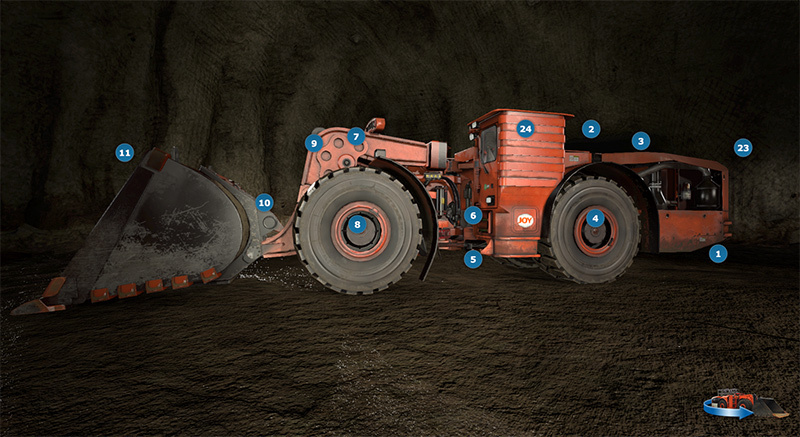 The graphical help system provides novice trainees to quickly understand the confines off their environment and grasp the navigation complexities presented by underground mining environments. 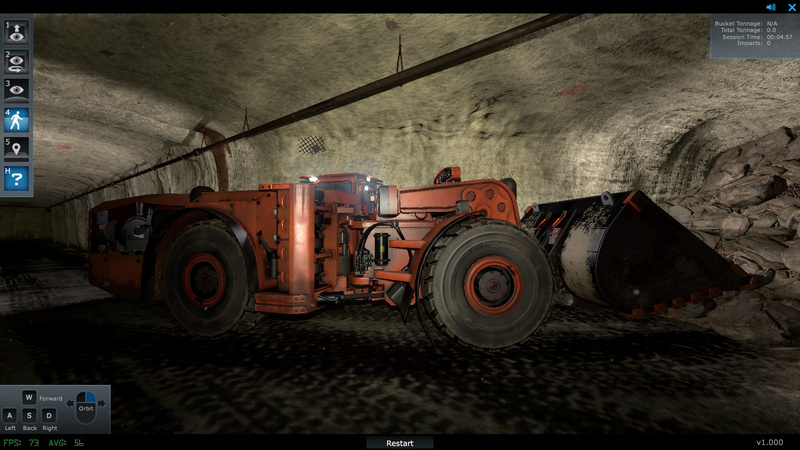 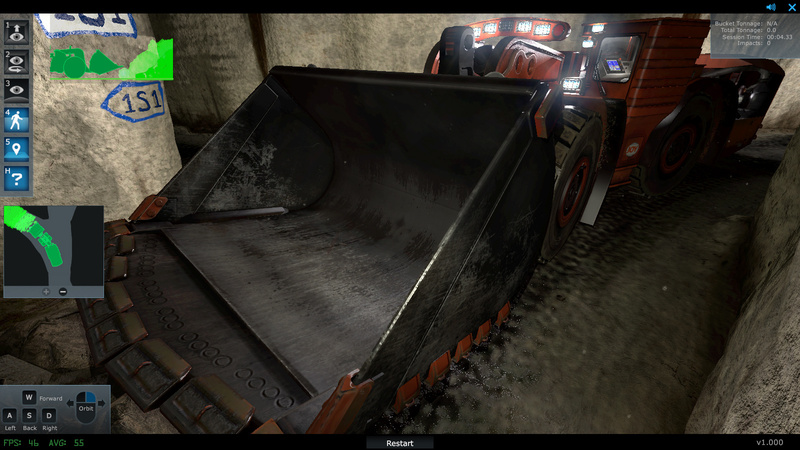 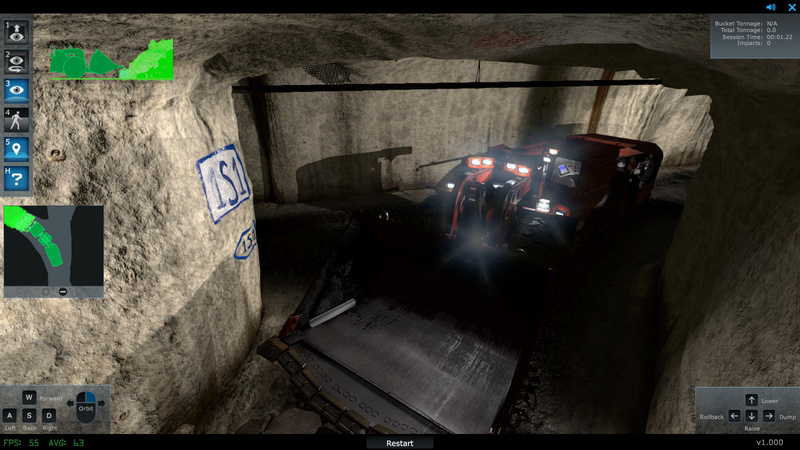 Simulation-based training to operate an underground mining load haul dump vehicle. 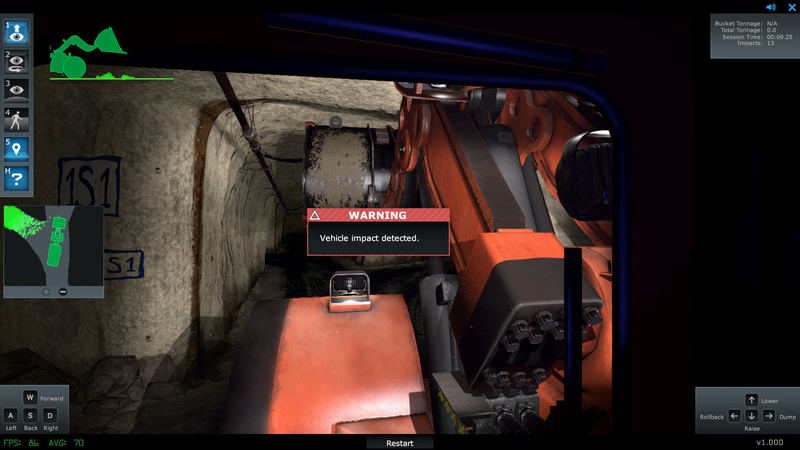 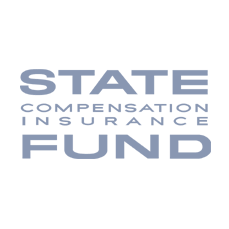 The simulator includes a step-by-step guide of the pre-inspection walk-around that operators will be responsible for conducting in the real-world. 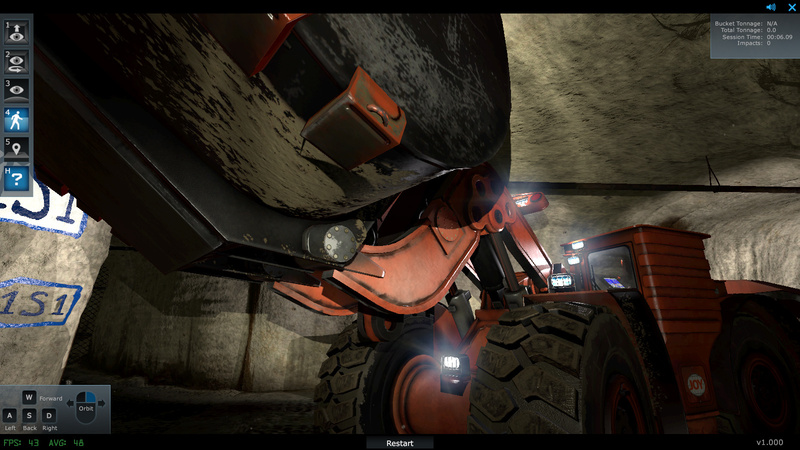 Trainees are able to inspect all of the pre-determined inspection points on the vehicle, gaining a detailed understanding of the equipment and its critical components. 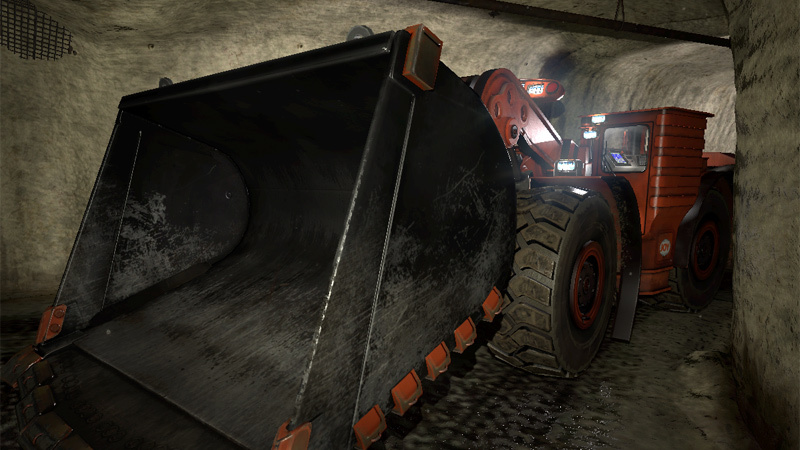 The more familiar and comfortable operators are with the equipment they’ll be operating, the more efficient they’ll be with that equipment. 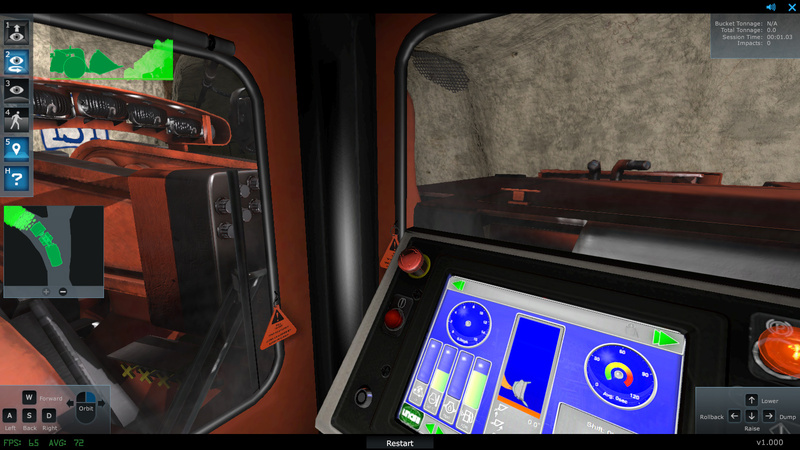 Providing virtual training simulators is an affordable and effective way of providing highly immersive and impactful for training to operators. 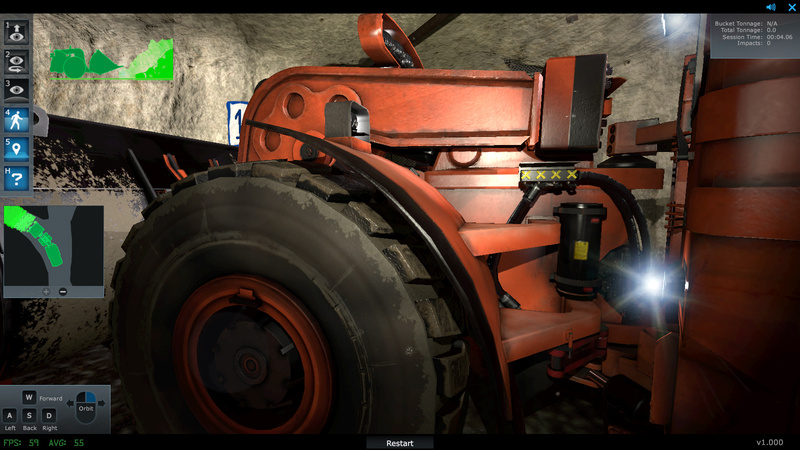 Virtual loader training simulator used for equipment pre-inspection training. 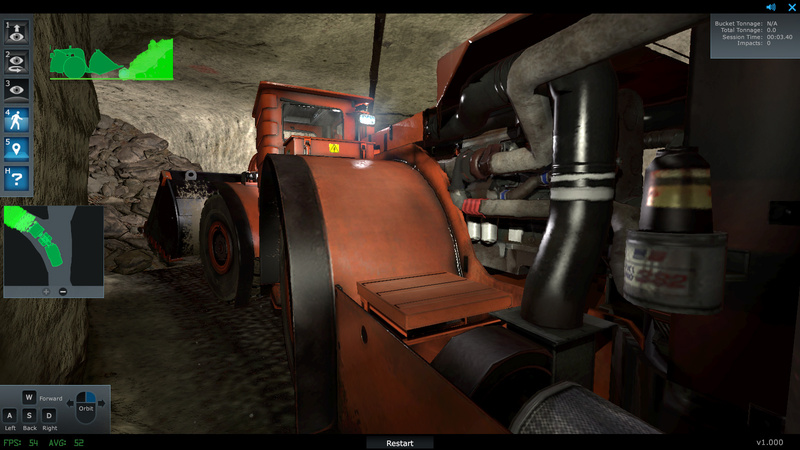 Simulation-based training for industrial equipment delivers many advantages to companies that deploy them to their customers. 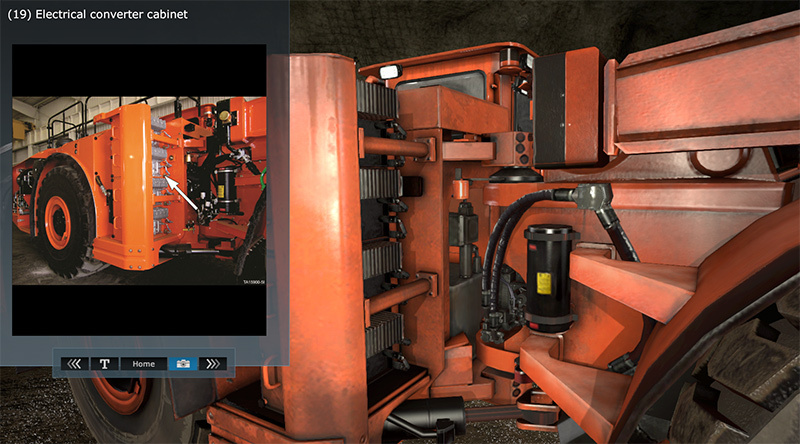 By greatly reducing the amount of training that needs to be conducted on real-world equipment, savings are instantly realized by the amount of real-world fuel that is saved. 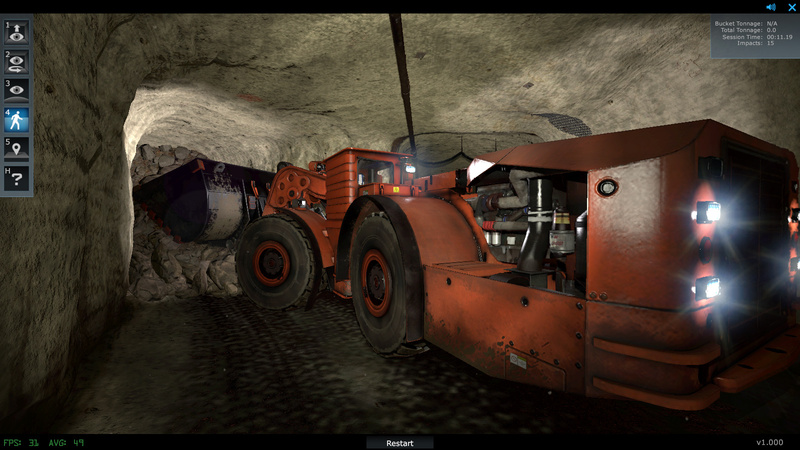 By using virtual machinery for industrial training, real-world machinery is spared from damage caused by novice users. 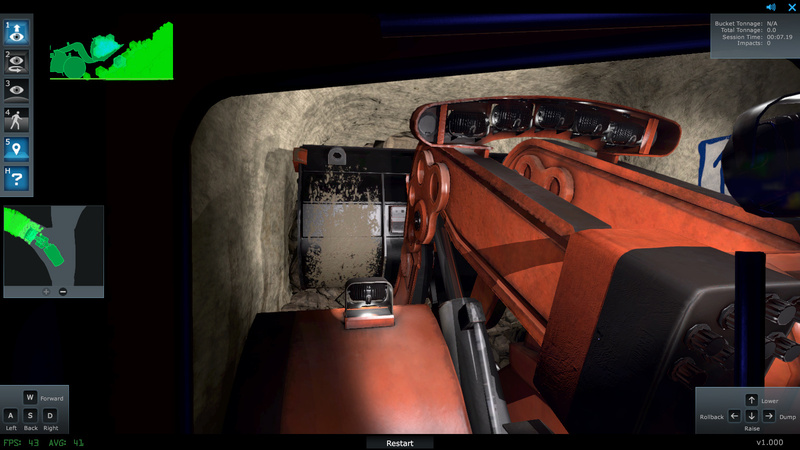 What would be a costly accident in a real-world training situation, is a valuable learning lesson inside a virtual training simulator. 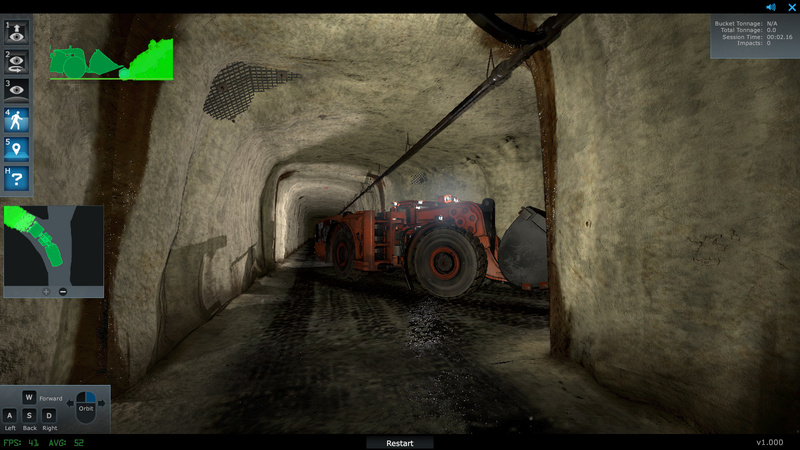 In addition, simulation-based training allows operations to leave their equipment in production where it is making them money, avoiding machine down-time due to training. 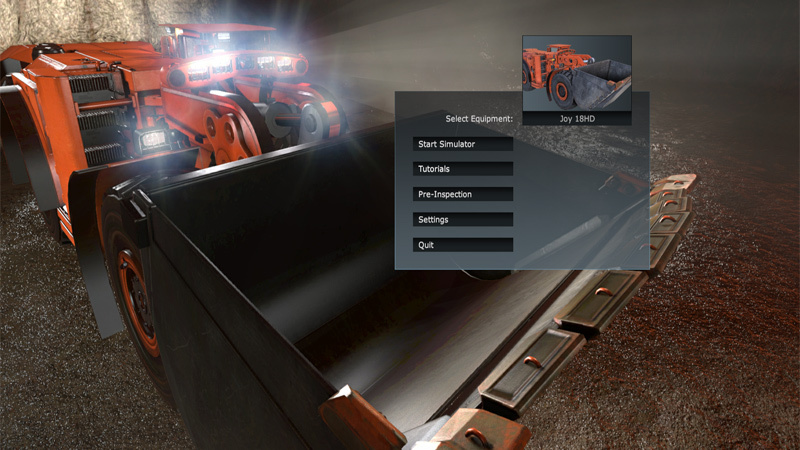 Thank you for your interest in the Joy 18HD virtual industrial equipment training simulator. 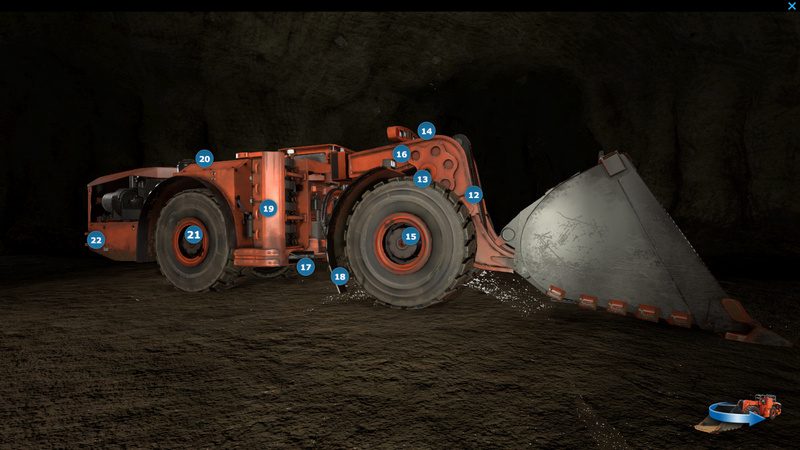 Please see the Komatsu Mining website for more information about all of their mining equipment and related products. 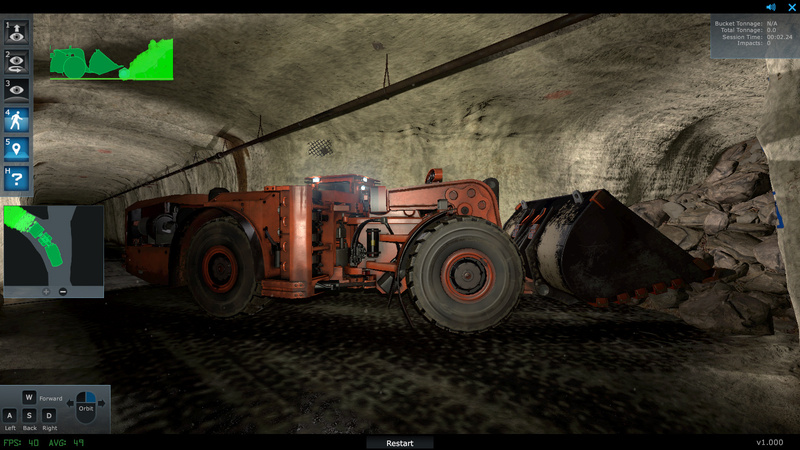 For more information about the development of custom training simulations for your equipment, please contact ForgeFX Training Simulations to discuss your requirements and receive an estimate.